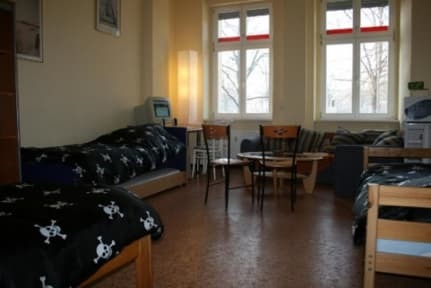 The Pirate Hostel i Berlin, Tyskland : Boka nu! Prices include taxes, linen, towels, Wi-Fi and parking, so you can get the most out of your stay. Friedrichshain the real centre of Berlin's nightlife, culture and shopping. Next to the hostel is all kind of public transport so you can reach the rest of Berlin in minutes. Our friendly staff speaks German, English, French and Spanish and is happy to help you with anything. 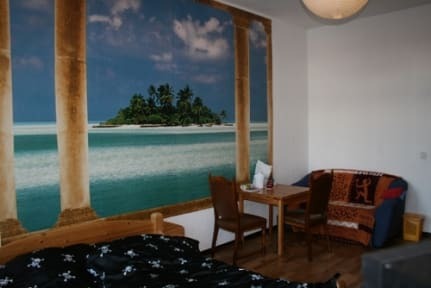 We cater to travellers, backpackers, workers, little groups and families that enjoy luxurious rooms at a budget price. We are not a party hostel, the nights are very silent here.